This Saturday, September 30th, will see people take to the streets in Dublin for the Abortion Rights Campaign’s 6th Annual March for Choice. 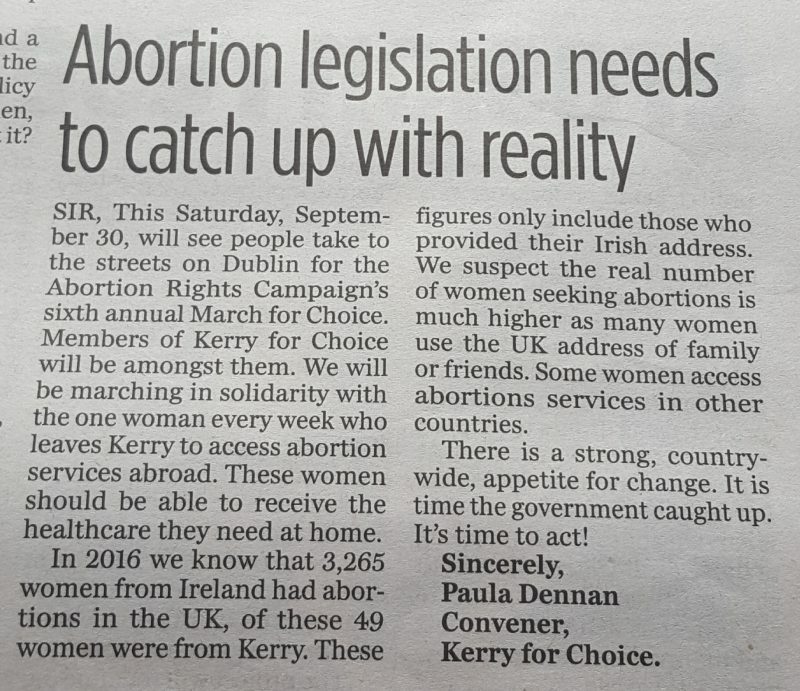 Members Kerry for Choice will be amongst them. 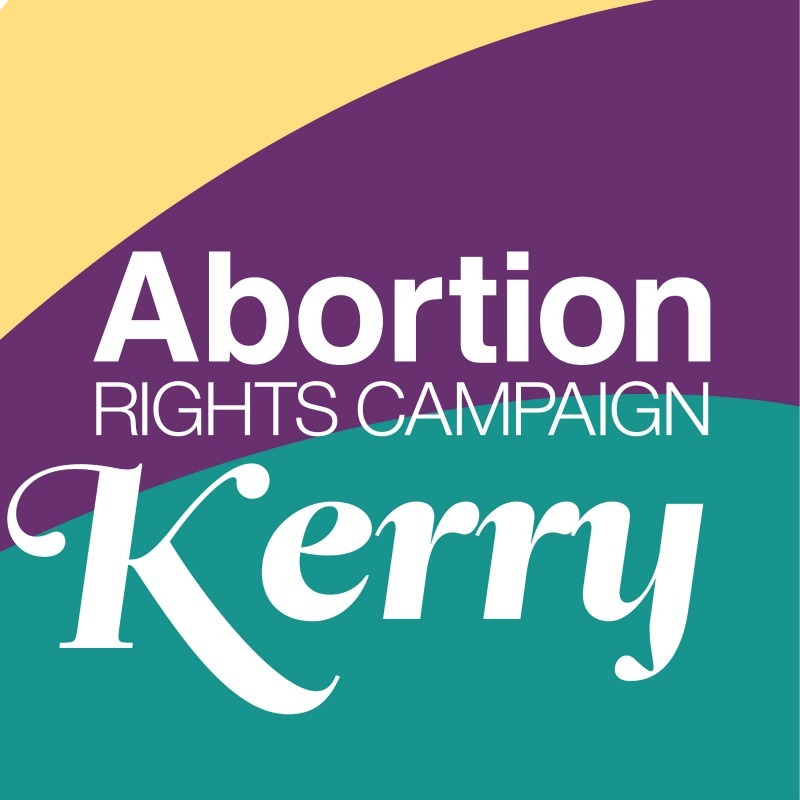 We will be marching in solidarity with the one woman every week who leaves Kerry to access abortion services abroad. These women should able to receive the healthcare they need at home. In 2016 we know that 3,265 women from Ireland had abortions in the UK, of these 49 women were from Kerry. These figures only include those who provided their Irish address. We suspect the real number of women seeking abortions is much higher as many women use the UK address of family or friends. Some women access abortions services in other countries. There is a strong, country-wide, appetite for change. It is time the government caught up. It’s time to act!